If we look at the data of the past four year of the previous programming periods, it is evident that the Italian spending performance has progressively worsened. Reading the report written by the Italian Minister for Cohesion Fabrizio Barca, we learn that at the end of 2003, Italy had certified to the European Commission the percentage of 16,6% of the total resources. At the end of 2010, the fourth year of the 2007-2013 period, the certified expenditure had fallen to a percentage value of 7.4% of total resources. It was the lowest values among all Member States. To speed up the spending of European structural funds, the Italian government had established the Agency for Territorial Cohesion, a central body, endowed with special powers, charged with coordinating all the Managing Authorities. Regarding the 2014–2020 programming period, at the end of 2017 Italy had certified expenditure of approximately 5.2% of total resources (the same figure in April 2018 is still 7.26% and it is the lowest values among all Member States). Some region cases are alarming, such as Sicily, whose ERDF Operational Program, for a total amount of about 4.6 billion euro, has certified expenditure for only 16,7 M€, less than 1%! 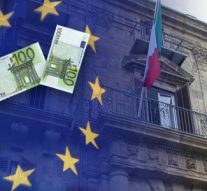 To reach the spending target set for the end of 2018, Italy has to spend over 3.6 billion euros, otherwise the amount not spent will be subject to automatic decommitment procedure according to the provisions contained in the Reg. (UE) 1303/2013. What are the reasons behind this low spending performance? Surely, the economic crisis and the low propensity to invest have played an important role in this delay, but it cannot be indicated as an excuse for a situation that has become very serious. Despite the indication of the European Commission contained in the position paper, to concentrate resources in a few OPs, Italy has presented a large number of operational programs, a total of 75 OPs. Dividing the resources into numerous programs, slows down the spending procedure and introduces the risk of critical issues. An additional factor is that the frequent changes of the Italian legislation on public procurement, led to a sharp slowdown in procedures. The most important negative element is the lack of projects concerning all public offices that should use the structural funds, due to a serious lack of programming capacity. A strong acceleration of Italian spending would be necessary, considering that the average spending of the Member States is currently around 14%, exactly twice the Italian value. The next government should immediately appoint a Minister for territorial cohesion that is capable but who is also a fearless knight, given that he will have to make many difficult decisions.